From daring escapes by tough women to chivalrous men swooping in to save the day, the creativity switch to Kishan Paul's brain is always in the "on" position. 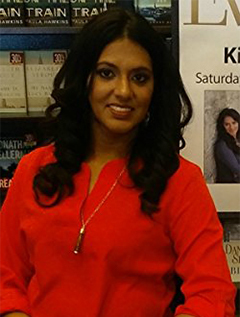 If daydreaming stories were a college course, Kish would graduate with honors. Mother of two beautiful children, she has been married to her best friend for over fifteen years. With the help of supportive family and friends, she balances her family, a thriving counseling practice, and writing without sinking into insanity.